Sanlam life insurance for all small, middle, big companies. And you! Begun in 1918, Sanlam Life Insurance is a giant company today. With offices in many African countries, Europe, India, the United States and Australia. The company has a history of doing much to create a chance for everybody to participate in the financial markets. Sanlam offer services and products that address a wide variety of needs and target markets to build wealth. The company is also deeply involved in the development of the South African society. They make large investments in education. And they sponsor many projects that better the lives of people in the countries where they operate. Sanlam offers a vast array of products and services that focus on the financial needs of individuals and families. 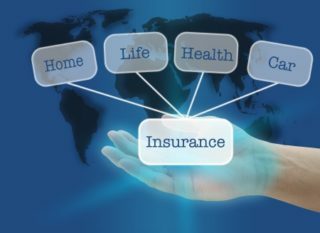 Most people are aware that they offer life cover, short term policies and many medical aid plans. The company has gone to great efforts to develop products that suit every need and budget. This is in line with their policy: they want every single person to be able to share in wealth creation programs. But this is not all they offer. They have estate and will planning services, often free of charge, funeral cover, educational loans and retirement packages. Some savings and investment plans can ensure the financial independence of just about anybody. Also, the company offers free financial advice to its clients. They strive to employ people committed to the wellbeing of their clients. Go online and get free Life Insurance quotes. The company knows that small and medium firms are destined to be the mainstay of both economic growth and employment. Their services to this sector are widespread. From free advice to employee benefit plans and investment ideas. Firms are also able to obtain loans, banking advice and insurance plans designed for this market. There are also some business tools available free of charge to clients. Companies have access to expert advice, and they strive to build a close bond with its business clients. Their risk management service is the best in the world. Major clients are able to benefit from the global presence of this giant. Sanlam can offer clients a service anywhere in the world, like offshore banking and investment. Clients can also ask the company to manage their employee wellness programs, benefit schemes and even access to actuaries. Sanlam Life has become a giant because they keep abreast of changing needs and have the know how to read the global markets. They remain focused on giving individual service to their many millions of clients, no matter whether they are individuals, small businesses or giant corporate companies.